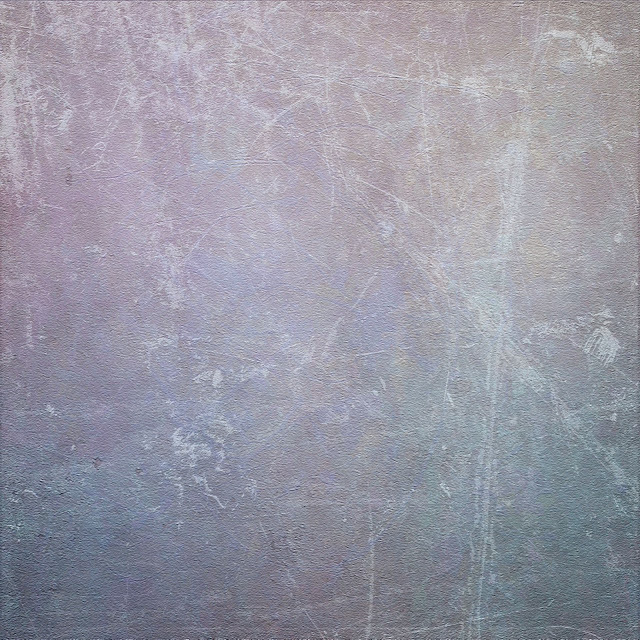 I've been creating some fabulously intense textures that may not be something you would want to use to enhance your special photographs, BUT that are ideal for creating abstract art using one of your photographs as the canvas for your work. Let me show you how I go about it, and a couple of the new textures used. Open the photo you have decided to use as the basis for your abstract art into your photo editing workspace. You don't want a photo with too much blank space. I am working in Photoshop Elements 8. The image is sharpened using Pioneer Woman's action Define Sharp. A Levels Adjustment is made to add a bit of light. You may not need to do this on your photo. I now want to use the Filter tool on the image, but to do so must first Flatten the image, and then Duplicate the image - don't know why this is so, but it is. I am not a professional designer/editor, so there may very well be other more efficient ways to do this. I can only demonstrate the way I reach my goals in PSE. Filter>Artistic>Cutout. The Cutout filter is great for giving an abstract look to any photo and I rarely see it used. Now you have one of my sweet, secret editing tricks. A closer view of the Filter>Artistic>Cutout selection. Now you have made an abstract image from your photograph. With the Cutout tool you lose a lot of detail and will most probably want to reduce the opacity some. So many artistic decisions that have to be made according to what pleases YOU, but that's part of the fun, right? Opacity is reduced by at least half (48%) on the Cutout edit. Now I want to give the image the Poster Edge effect. To get the best result, the layers must again be flattened and duplicated. With the image flattened and duplicated I go to Filter>Artistic>Poster Edge. A closer view of the Filter>Artistic>Poster Edge selection. Finding Poster Edge adds too many black dots at 100%, opacity is reduced down to 50%. Now I begin to add one of my new Abstract Elements Textures, designed to produce (surprise, surprise) an abstract effect. At this point, I never have a precise idea of what the marriage of the edited image and this "Abstract Splotches" texture will do. Time to experiment and see what PSE produces! I will try the texture in many of the Blend Modes. Here is the result with Hard Light. I am just looking to get a sense of what each blend mode does and not bothering reducing the opacity yet. I will reduce the opacity of the blend modes I consider using. Linear Light always packs more punch, while adding light. Darker Color can sometimes produce interesting effects. I do not like this one, however. Remember, what I gravitate to may not be YOUR preference. There is no right or wrong - with abstract art there is just what YOU like, prefer or want. Play with the tools. Don't try to follow my recipe exactly. Just try to understand the principles and give your inner artist free rein! Your photo will be different and have different reactions with the texture and blend modalities. Difference is dark, but I like the nuances of color in the blue flower. Hue is always fun to try - sometimes producing pale but interesting effects. I really like this blend, but had something darker in mind. Luminosity creates shifts in color. Reducing the opacity (brings back more of the underlying image) to see if that pleases me. Luminosity with opacity reduced to 74%. You will certainly reduce the opacity until your image feels right to your eye. Thought this might be the one, but am not thrilled now the opacity is reduced. Let's try Color Burn which gives intense light effects that I usually like. Here it is too dark. The image is now a bit too dark for my taste and it gets a Levels Adjustment - using the grey middle slider (moving it to 1.22) to bring in some light. I tried using the white slider (under the Histogram) to add light but got better results using the grey middle tones slider. This image is still not feeling textured or abstract enough. Time for another texture. 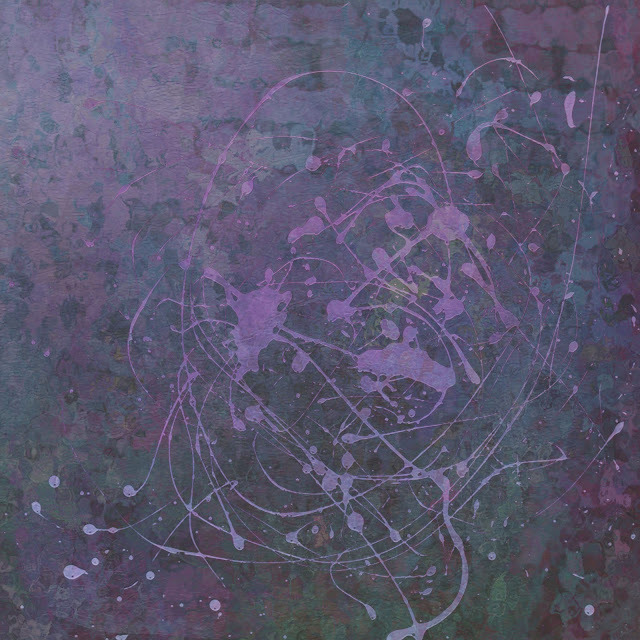 I drag the Abstract Elements Texture "Abstract Scratches" onto the image in my workspace. Overlay brings in a bit more light with the texture. This is it - Overlay at 100% opacity. The addition of Poster Edges could now add a nice finishing touch. Before using the Filter tool I have to again flatten and duplicate the image. Under the heading "Layer" you can both flatten and then duplicate layers. Click on Layer, scroll down to flatten and click. Click on Layer again, choose duplicate layer and click. Flattened and duplicated I now go to Filter>Artistic>Poster Edge. My signature is added and image is saved as a PSD in case I want to go back and make any further edits. It is also saved in Save To Web to get a 72 dpi JPG to post to my blog. 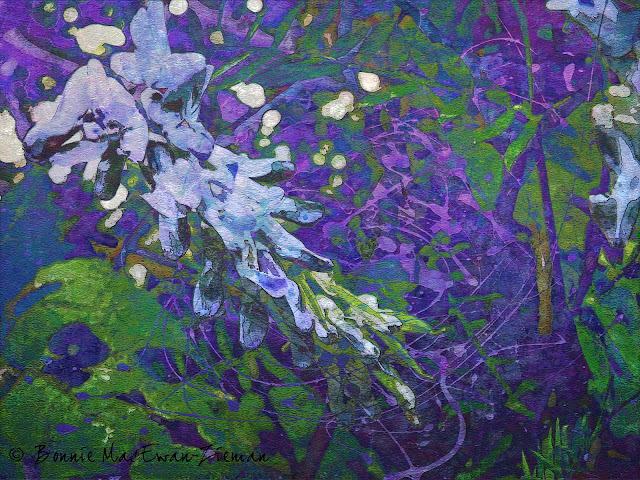 The finished piece of abstract art made from one of my photos, 2 textures, and edits made in PSE! Now, if you have been patient enough to read through the whole tutorial, you get a little reward! Yes, here are the two textures from my new (and growing) collection of Abstract Elements Textures, used in the tutorial, for you to download for free to try creating some of your own abstract artwork. Enjoy! To download pdpa Abstract Splotches texture, click HERE. To download pdpa Abstract Scratches texture, click HERE. Abstract Elements Textures are now featured in both my Texture Shoppes. You can take a peek at them HERE. Thank you so much for sharing your process Bonnie. I know how much effort there is in creating photo art and you do such lovely work! Thanks for the two new textures too! Bonnie does it so much better. Love the end result, but the procedure leaves me breathless. Just enlarged it. Wonderful. You must have been on such a high when it was done. Wow..fabulous as always. Thanks for sharing a bit of your technique with us and these fabulous abstract textures. I don't have PSE, but sure I can figure it out in either my editing program or GIMP. I'll share when I do. combined with textures and then 'poster edges'. but still, I will be using this again. I'm a new follower as of today, and have yet to learn my PSE9! I am so inspired by what you are doing with your photos and your textures that I think it's time I put my foot in the door - it just seems so overwhelming! Thank you so much for these wonderful textures and your amazing tutorial. This is so helpful for me. Your examples helps me let my imagination flow and not to be afraid to experiment in PS9. This was really fascinating to see! I don't use textures (not possible w/ Aperture) but am in awe of what you do with them! What I find most inspiring about your pieces is the fact that you take the texture concept to another level, farther removed from the photograph than is usually done. Stunning and I love your use of rich color! Thanks for sharing. Thanks so much, Bonnie. I just played with the tutorial. You will see the results this Photo Art Friday.